Scholars in the field of history have argued that music predates even humans themselves. Combine this with the thrill of a modern slot game, like the ones found at slotsbaby.com and you’re in for a real treat. Historians and historiographers claim animals were the first ones to take part in music and, consequently, man only followed suit. Music is universal and – just like a concept as wide and broad as beauty – lies in the eyes of the beholder, in this case the listener. Humans have resorted to music from the earliest of times, implementing it in religious ceremonies and battle sounds, while slowly growing it into the kind of art and enjoyment we recognize it as today. Forms and shapes expanded to accommodate various tastes and perceptions but the penchant we’re most intrigued by – of course – is heavy metal, and how this great music form has found its way into almost every main passtime, including musical slots. And though, admittedly, it can be considered an acquired taste, heavy metal is slowly taking a wider flow, streaming into some unlikely channels of everyday life, popular culture and entertainment business. Singlehandedly the most surprising one, in our view at least, is a stream funneling heavy metal into the online casino industry. Slowly but surely, these two are forming an unlikely symbiosis that’s taking shape through a number of online slots with a heavy metal theme. The most acclaimed type of casino entertainment of them all, video slots have evolved beyond recognition over the past couple of years. The path this form of gaming went through can easily be compared to the history path of music. Hence, perhaps, the unification of two variations of the popular kind of entertainment – once highly doubted and frowned upon – should not be so perplexing after all. Only the bravest and boldest casino enthusiasts at first dared to enter the heavy metal ring. Net Entertainment, or simply NetEnt, were the first ones to truly raise the heavy metal banner high within the online gaming ring. 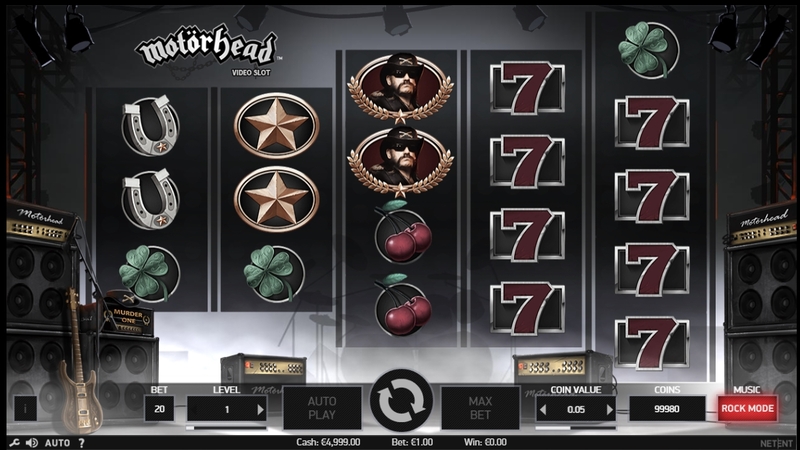 Celebrating its second decade of bringing innovation into the online gaming industry, NetEnt launched its Rock Series in 2016 which, in addition to a more classic rock-themed Jimi Hendrix slot, included two heavier interpretations based on Guns N’ Roses and Motorhead. NetEnt believed the milestone was a perfect time to perform an experiment and launch a market test by throwing a heavy metal bone that slot enthusiasts are still chewing on today, two years onwards. Other developers were encouraged to go in the same direction but it was another industry behemoth and an award-winning studio Play’n Go that decided to take the experiment a bit further. Having teamed up with an acclaimed Swedish metal band Candlemass, Play’n GO brought a less mainstream project into the world. The Swedish doom metal band has been around for a while, having first hit the stage in 1984 in Stockholm. The group disbanded twice – first in 1994 and again in 2002 – but is bringing it hard ever since reuniting again in 2004. Voted the greatest Swedish metal band of all time by the Sweden Rock Magazine, House of Doom served as inspiration for a product that can be considered the highlight of heavy metal’s influence in the online casino industry. 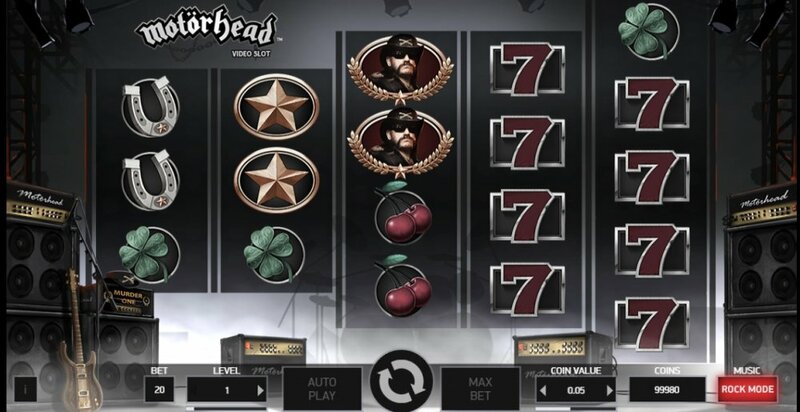 Created to announce the band’s upcoming – and long-awaited – single, the House of Doom online slot marked the next stage in this unlikely symbiosis between heavy metal and online slots. This particular game is dark and edgy – just the way heavy metal fans love it – and it wasted little time in topping the charts. What years of headbanging sparked as the next phase in the evolution of the heavy metal and online slots symbiosis was a platform to unite these two unlikely allies and merge them completely into a new hybrid species – Metal Casino. Created by a team of casino enthusiasts and metal lovers, this unique gaming venue brings the best of the two separate industries’ brands together in what looks like a ghastly environment but is actually a respectable gambling advocate. Simultaneously, it’s a place where values of heavy metal are appreciated and promoted through an open-hearted community. And it stands for everything music – and online slots for that matter – actually represent(s). Good vibes, entertainment, a laugh here and another there, with plenty of great times.